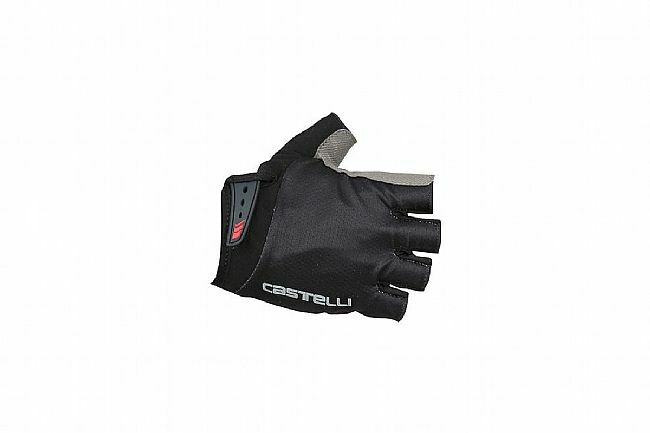 The Castelli Entrata Glove is a lightweight, low-profile glove designed for slight padding with optimal ventilation and moisture management. Featuring an ultra-breathable back of the hand, this fabric offers extreme moisture management, this glove's synthetic palm offers moderate padding with strategically placed perforated medium density foam padding. Up top, a minimal velcro closure offers a secure fit that doesn't pinch or bind, while a microsuede sweat wipe at the thumb offers added comfort. Microsuede sweat wipe at thumb. Poor quality. Ripped after 5 rides. There is nothing to say other than that these are the worst gloves i have ever owned. On the side of one of the fingers, the blue fabric separated from the bottom material after only about 5 rides (always washed on colddelicate). Now there is a flap of blue fabric on top of my finger (not attached to anything on the side). 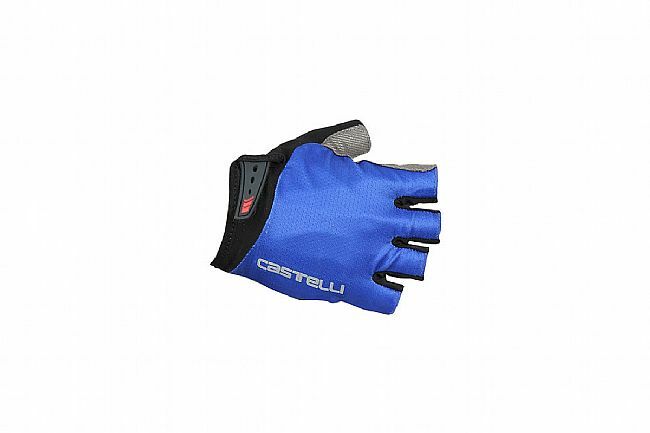 Castelli should go back to making decent quality products. This isjust bad. Good but there are better. These cost about the same as other similar products. They appear well made but it's too soon to say how they will last. Price seems competitive. I have other gloves with padding that do a better job. The main reason I purchase padded gloves is to prevent numbness in my hands. These do an okay job but I have other gloves that do better. For future purchases, I'll probably buy a different brand. If numbness isn't a problem for you, these are probably fine gloves. Comfortable, teriffic fit and last forever, sharp,looking! I've had 3 pair of the S.Uno gloves over the last few years. These are very similar, with minimal but effective padding. I prefer padding on the bars (thicker tape, and in some cases, gel pads under the tape), rather than in the gloves. These work well for that use case. If you prefer thicker padding in the gloves, these are probably not for you. Construction quality seems to be quite good, I expect these will last quite well. First ride with this pair was a metric century, no issues at all. The only downside is that it seems like the glove doesn't cover quite as much of my wrist as I'd expected. More personal preference that anything else - I'll buy another pair when my next oldest pair wears out.